How About a No Cost Demo of AMD EPYC? We just added AMD EPYC to our free, no-strings demo supercomputer. AMD has a wait time of about six weeks for an EPYC demo, but you can be up and running in a couple of days on our demo cluster. It doesn’t matter whether or not you are a current Nor-Tech client. 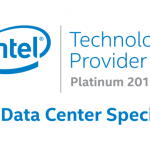 Everyone can take advantage of this offer to test-drive simulation applications on a cutting-edge Nor-Tech supercomputer, which is also integrated with Intel Xeon Skylake, Intel Omni-Path, and Mellanox InfiniBand installed and configured. Users can also integrate their existing platforms into the technology. Since each EPYC processor can support up to 2TB of DDR4 RAM over eight channels, and has 128 PCIe lanes, the platform has over 2-1/2X the I/O density of the closest competing processors. EPYC is an excellent choice for CFD-applications in particular since it has more memory bandwidth than competing products. Sign up for a no-cost demo now: https://www.nor-tech.com/solutions/hpc/demo-cluster/.